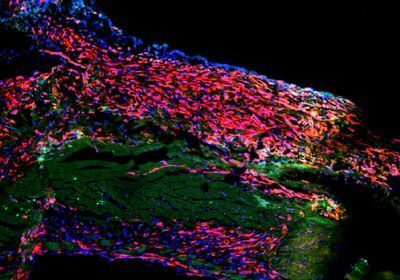 ABOVE: Scar tissue (red) and dead muscle cells (pale green) accumulate in the hearts of mice after heart attack. 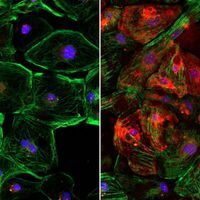 No cells divide and develop into new muscle cells, showing that cardiac stem cells do not exist. 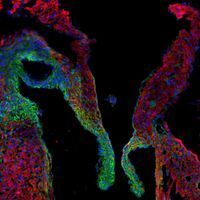 Cardiac stem cells, whose existence has been debated, do not exist, according to new images of scarred mouse hearts. 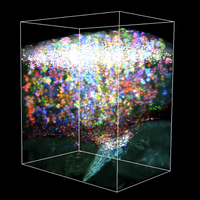 Using molecular and genetic techniques, researchers created cell-by-cell maps of mouse hearts before and after the animals suffered heart attacks. The maps show that many new cell types—including blood vessel and immune cells—develop after the damage caused by the heart attacks. But, none of the cells are new heart muscle tissue, which means there are not stem cells native to the heart, the team reports this week in PNAS. While no new muscle tissue develops after heart damage, fibroblasts, which are connective tissue cells, divide multiple times to develop scar tissue. That scar tissue replaces the damaged muscle cells and helps hold the remaining heart tissue together; without it, remaining heart muscle can tear, causing death. 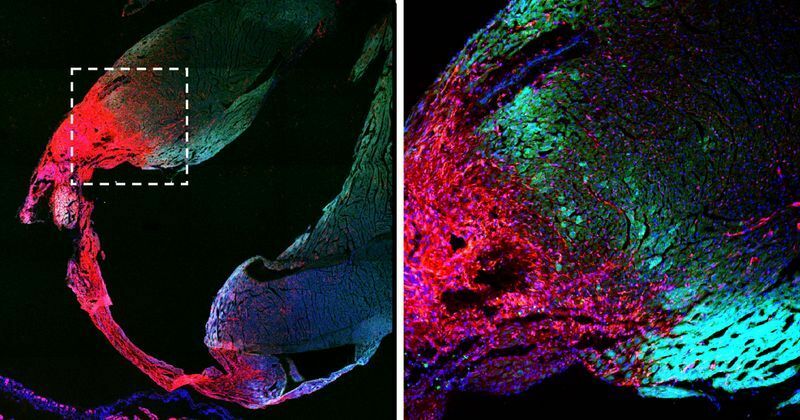 In these images of a mouse heart after a heart attack, scar tissue is shown in red, and heart muscle cells are shown in green. 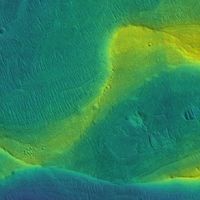 K. Kretzschmar et al. “Profiling proliferative cells and their progeny in damaged murine hearts,” PNAS, doi:10.1073/pnas.1805829115, 2018.